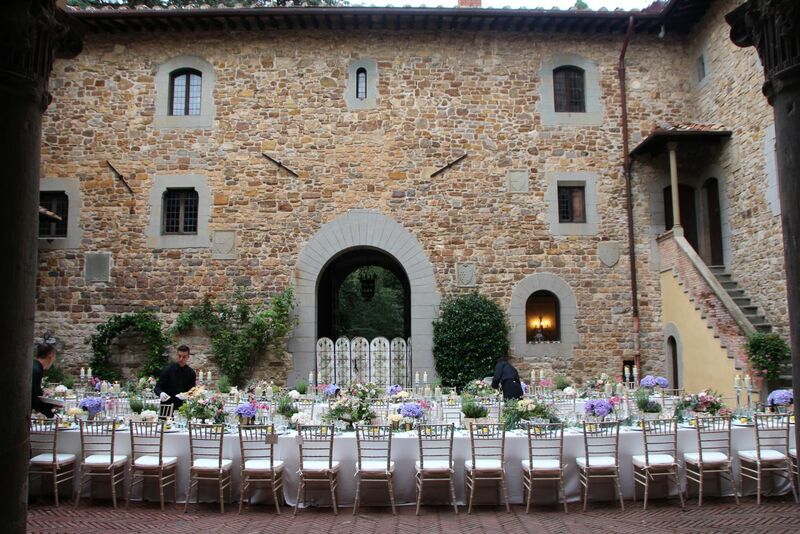 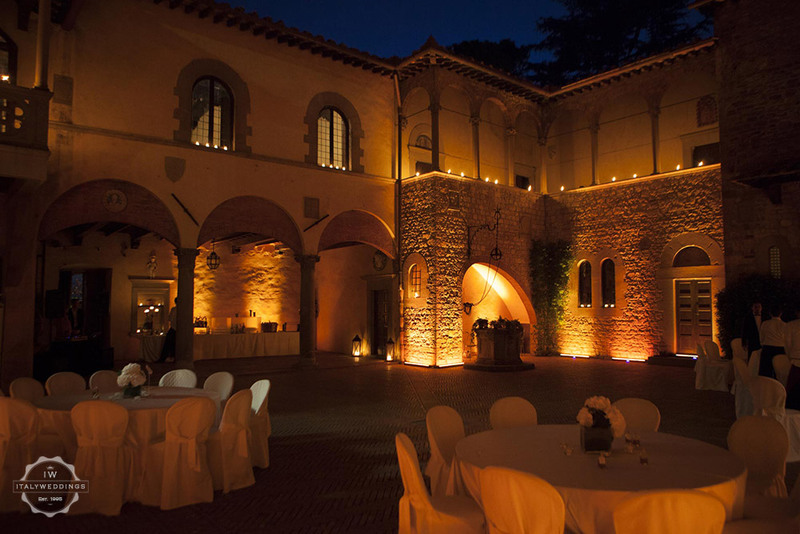 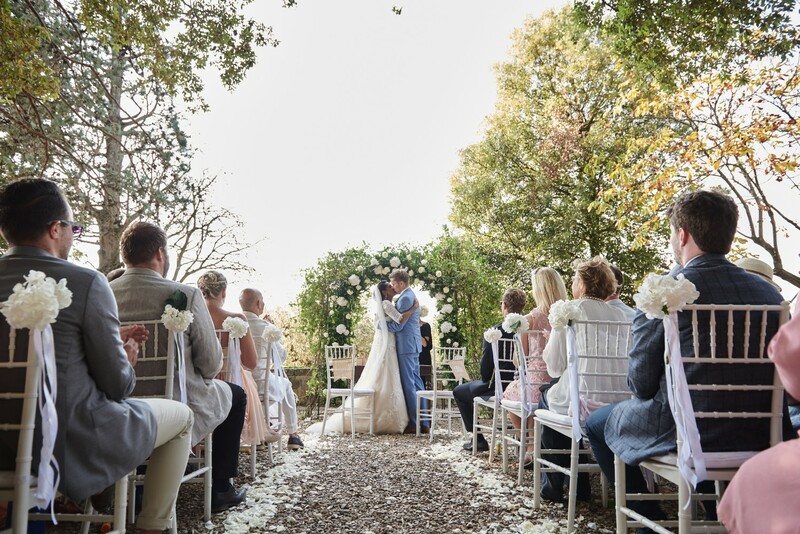 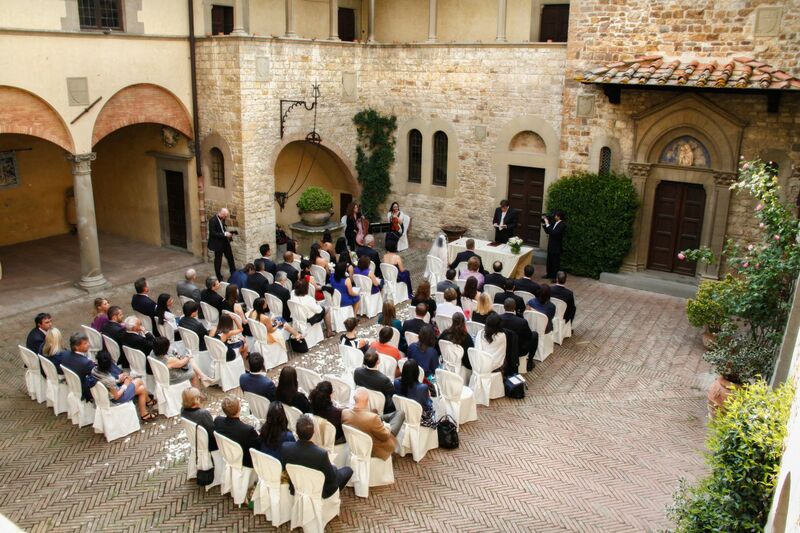 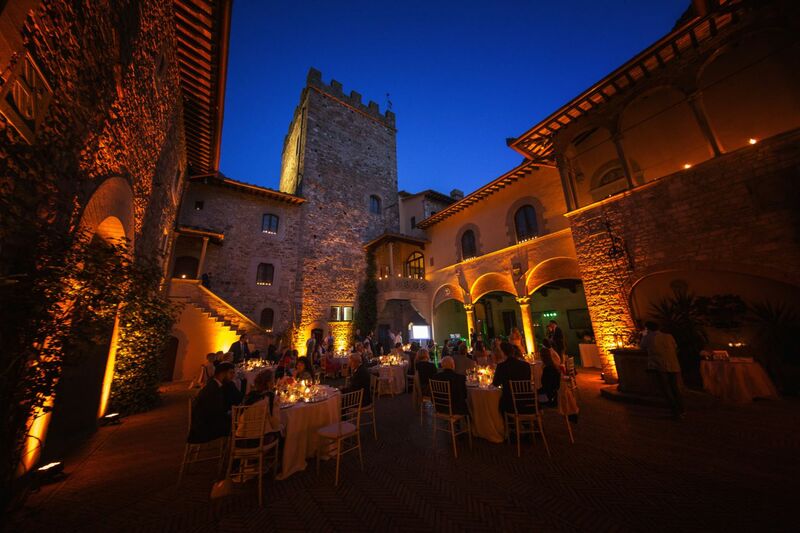 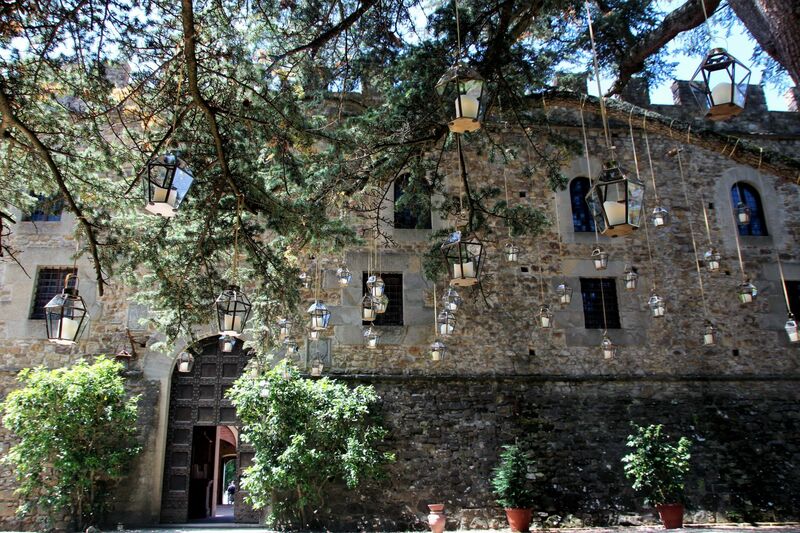 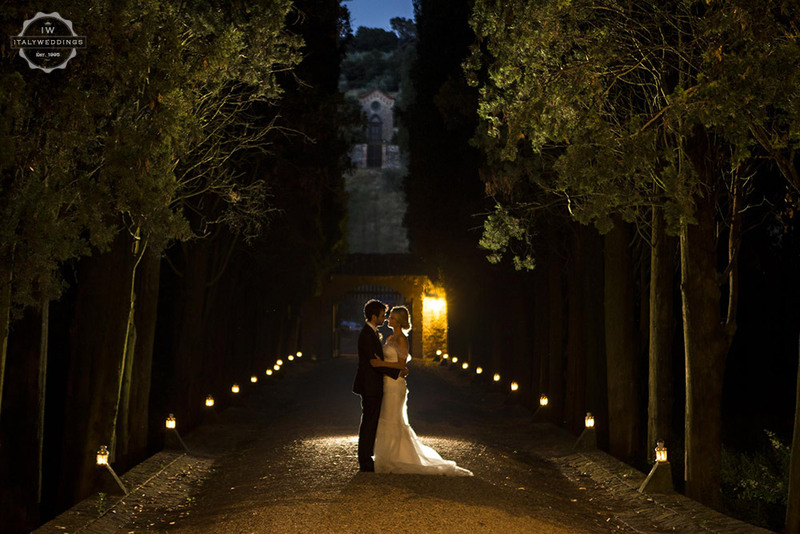 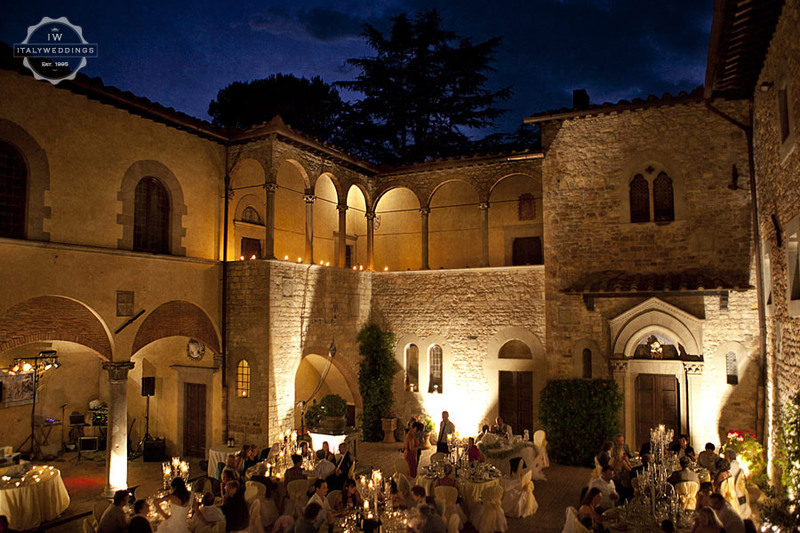 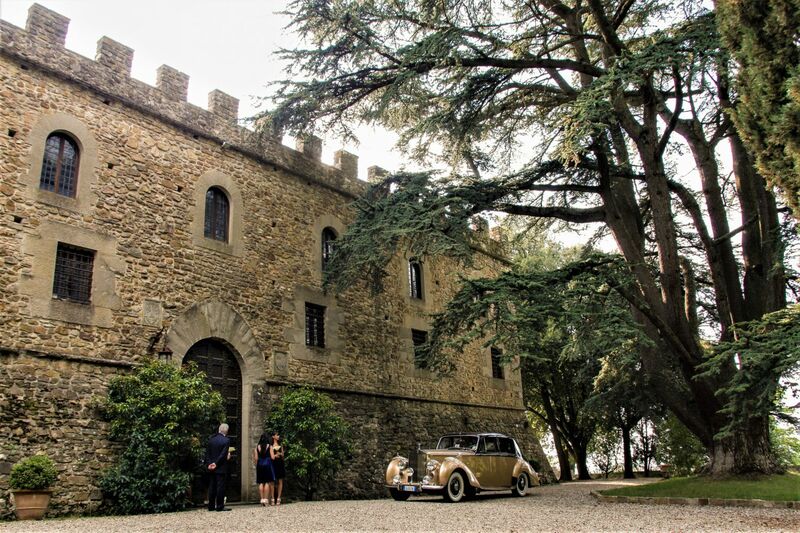 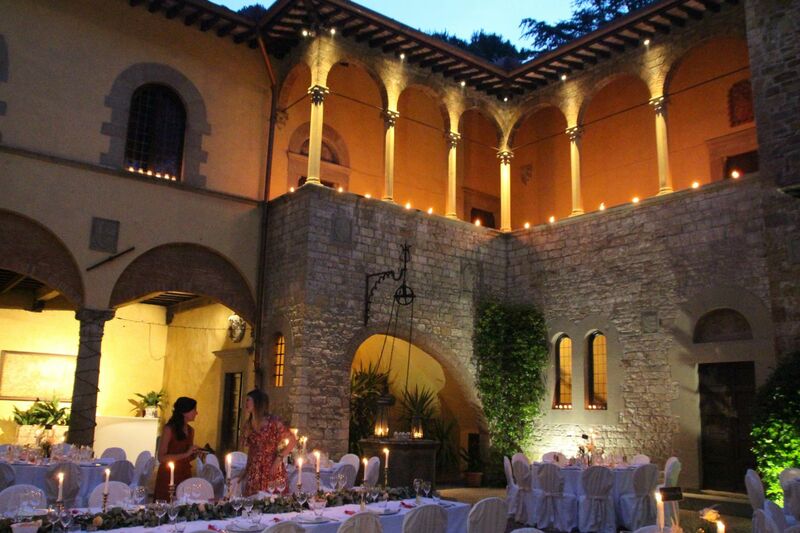 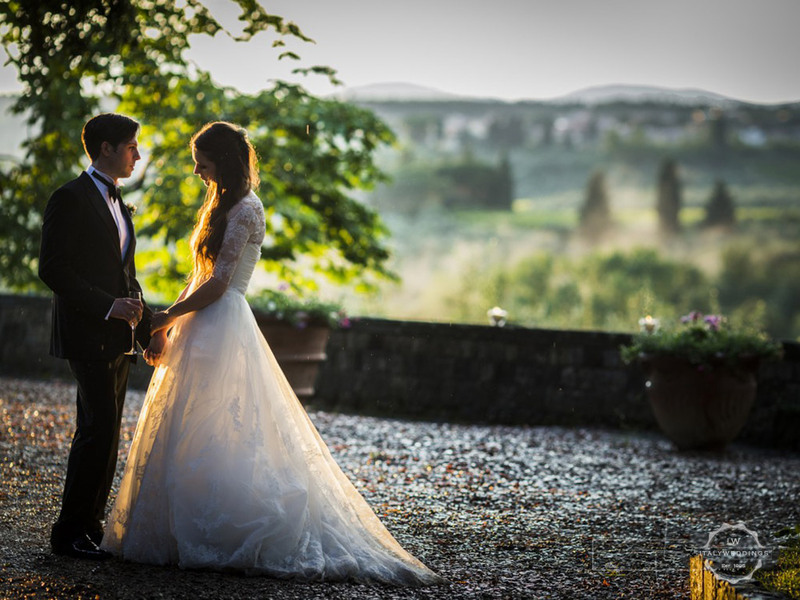 This stunning medieval location, just 17 km from Florence, is a charming and magical venue for large and small weddings alike. 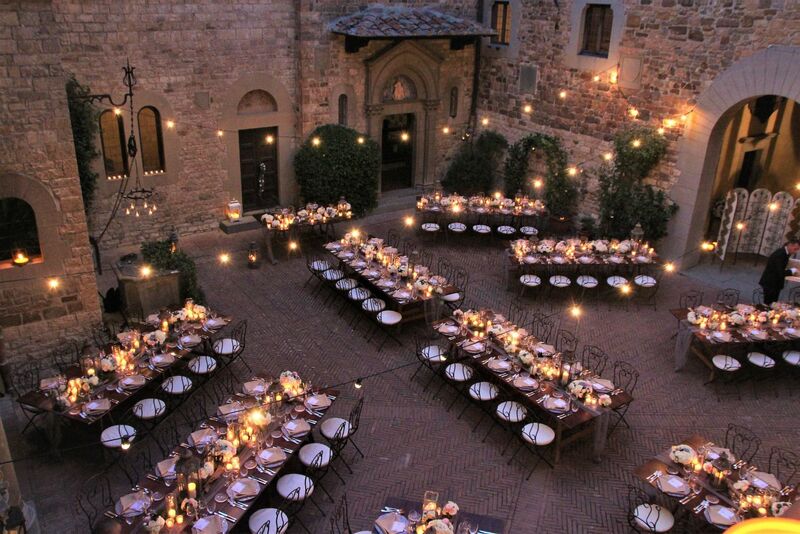 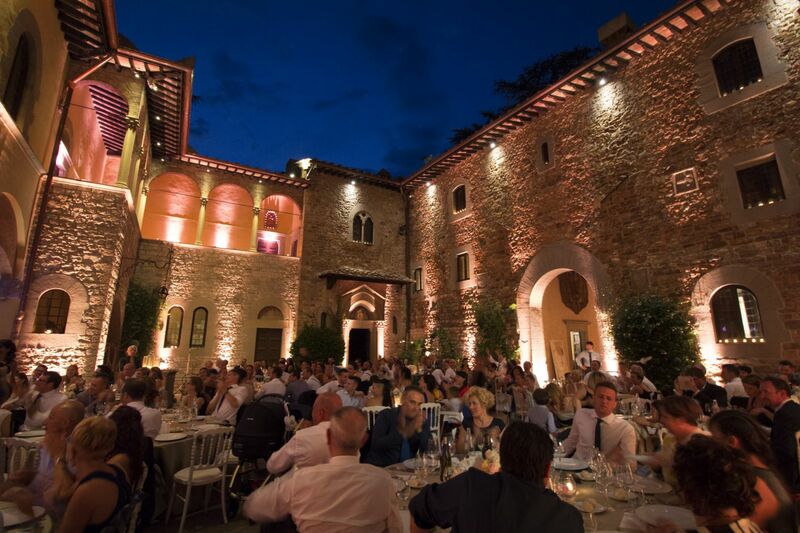 Perfect for an event that is both unique and unforgettable.For locations – there’s the beautiful medieval courtyard, ideal for a formal seated meal, illuminated by torches at the windows and on the castle’s 13th century battlements. 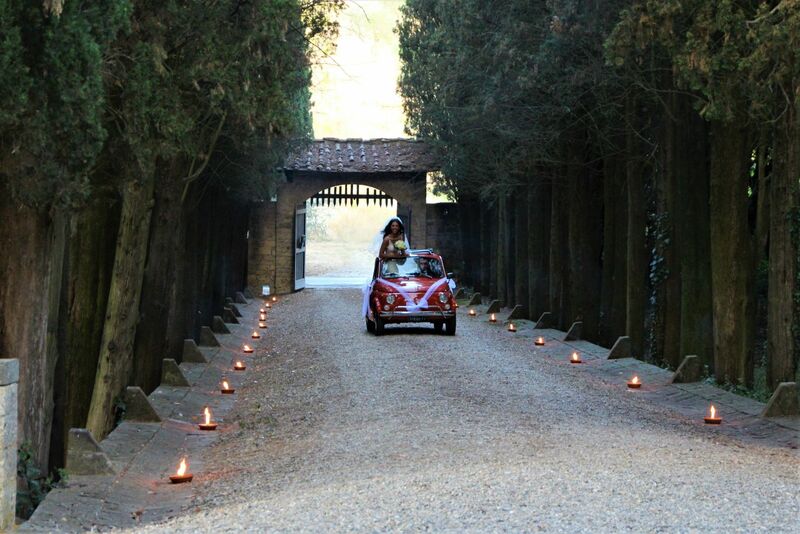 Then there’s the park and Italian gardens, with the centuries old Lebanese cedar, and the magical driveway. 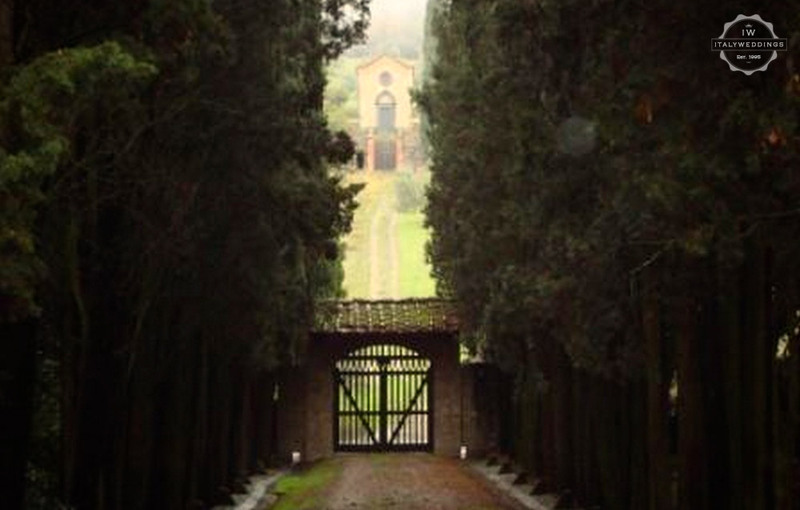 Overlooking the beautiful countryside of Chianti the external spaces are ideal spots for blessings, and for aperitifs. 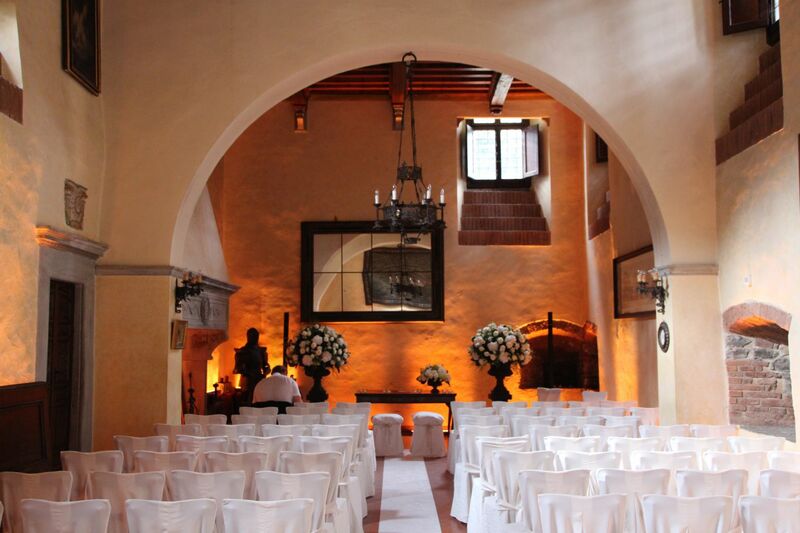 Finally, the small chapel located off the courtyard; a location for intimate wedding celebrations. 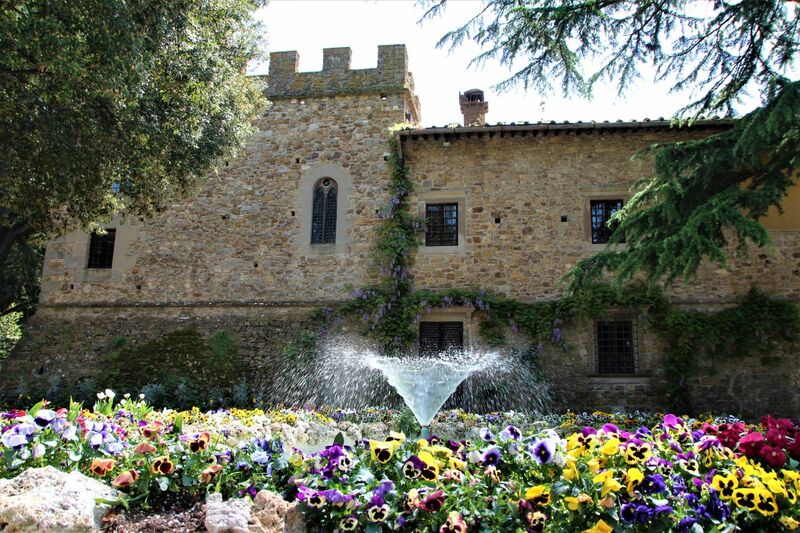 Ideal in all seasons: cool in summer and warm in winter. 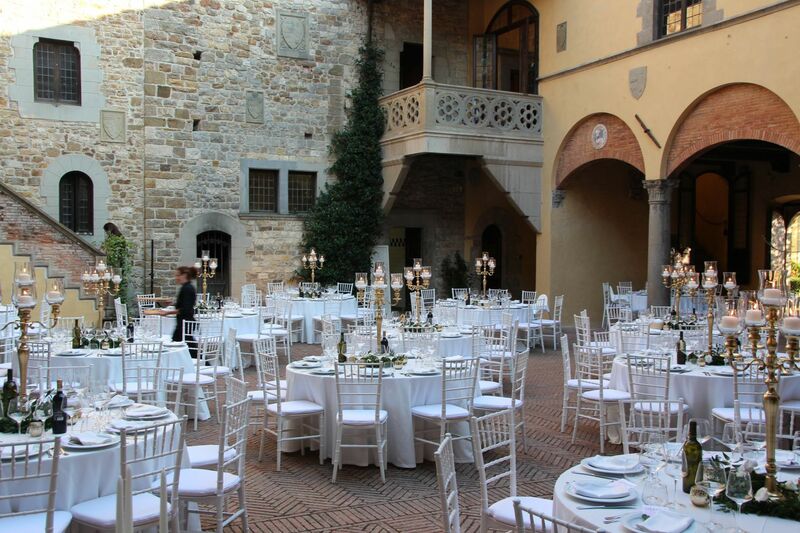 Perfect for a traditional tasting of top local cuisine and the heart of the best Chianti Classico wines.